We all get bad breath now and again and there are many causes: from simply overdoing the garlic bread coffee and red wine to more serious health issues. Happily, most are preventable and treatable. Let’s look at nine things that may be causing your bad breath and what you can do about them. 2 Gum disease Chronic bad breath is usually caused by gum disease. If you don’t remove plaque by thorough daily brushing, it builds up and attracts bacteria, irritating your gums so they bleed or become sore and swollen. Bacteria in plaque below the gum line give off sulphur-type gases that smell really bad. This first stage of gum disease, where gums are inflamed and may become infected, is known as gingivitis. If not treated, gingivitis leads to periodontal disease – and extremely bad breath. Periodontitis affects the tissues that hold your teeth in place. Teeth may develop abscesses, become loose and even fall out. The good news is, gum disease is preventable with twice-daily brushing, flossing and regular dental visits. We recommend regular use of an electric toothbrush to keep your teeth and gums in good health. 3 Don’t ignore your tongue Smelly bacteria can also live on the rough surface on the back of your tongue. To help control bad breath, clean your tongue by scraping away any built-up coating when you brush your teeth. 4 Eating spicy food and drink A temporary cause of bad breath can be caused by eating food containing garlic, onions and spices. Coffee also has an effect too, so too does alcohol, which tends to dry your mouth. Good oral hygiene will help ensure that your breath is recognisably fresher. If you are still conscious of your breath after eating spicy food etc., chewing on fresh parsley, sugar-free gum or mints can really help. 5 Smoking As well as making your breath smell like an old ashtray and staining your teeth yellow; smoking irritates your gums causing gum disease which in turn leads to bad breath, gingivitis and periodontitis. Smoking hinders the mouth’s natural healing process, which makes treating gum disease more difficult. For advice on giving up smoking for good, you can join the millions of people who have used the NHS website, https://www.nhs.uk/smokefree to help them stop smoking. They’ve got loads of support to help you quit. 6 Dieting and fasting Fasting, very low carbohydrate and crash diets cause your body to break down fat; releasing ketones which are chemicals that give your breath a distinctive smell. For example, they’re responsible for the infamous ‘dragon breath’ of the Atkins Diet. If you are fasting or on a diet, take extra care to follow a really good oral hygiene routine. 7 Having a dry mouth and ‘morning breath’ Saliva flow naturally cleans your mouth by removing decaying food particles. When saliva production is reduced; for example if you’ve been breathing through your mouth in your sleep, have had a few glasses of wine, or have a dry mouth condition called xerostomia – you can develop bad breath. A dry mouth is the main culprit of ‘morning breath’ but is easily rectified by having a cup of tea and brushing your teeth. 8 Feeling ill Bad breath can be a sign that you’re not well – a cold or tummy bug is enough to cause it! Sinusitis, tonsillitis, bronchitis, pneumonia, diabetes, irritable bowel syndrome (IBS) and other gastrointestinal problems also affect your breath. Embarrassing Bodies dentist Dr James Russell says, “Bad breath can be caused by systemic problems such as liver, kidney or lung infections, but the main cause of bad breath is gum disease.” Regular brushing (especially with an electric toothbrush), flossing and visits to your dentist or hygienist can prevent the plaque build-up that causes most cases of bad breath. Book a Breath Freshener appointment with Shaheen, our Hygienist. She will carry out a thorough deep clean and high shine polish, as well as giving you advice on the best way to brush and floss your teeth to prevent the deposit of plaque and tartar. 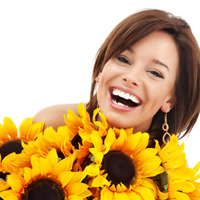 Simple changes to your daily teeth cleaning routine can make a huge difference in giving you fresh breath confidence. Book a Breath Freshener appointment by calling 01772 253 443. You can also email us at smile-adviser@adelphidentalcare.co.uk. Since my smile makeover - I had my teeth whitened and straightened - I have realised that I smile at people a lot more and they smile back, which makes me feel great. Are you worried that you have bad breath?